First HomeCare Web » What Are the Most Common Household Plumbing Problems? What Are the Most Common Household Plumbing Problems? Stepping over the puddle of water in front of the sink, you find absolutely no comfort in the fact this mess caused by a leaky garbage disposal is one of the most common plumbing problems reported by homeowners. In fact that this may be one of the most common household plumbing issues, but you are now faced with a fairly uncommon event. You need to be leaving the house to get your husband picked up from work so that you can be on your way for a jam packed Labor Day weekend at the lake. Your family is never late. Never. And now because of the mess on the floor you have to wait for a plumber to make sure that no further damage will occur while you are gone for the long weekend. No plumbing problem is fun, but the problems that are discovered as you head out the door for a long vacation can be less fun than others. It is a case of everything is going along fine until it isn’t. Before you know it the best laid plans for a weekend at the lake are put on hold as you contact a plumber so that you can make sure that is no other leak or damage you need to worry about. the view from the backyard swimming pool can be very relaxing. Relaxing, that is unless your view from the pool is into your large kitchen window as you watch the construction crew tear out the rest of the ceiling that was damaged by a slow leak of the upstairs tub. The plumbing services contractors keep saying that it could have been much worse, but you are having a difficult time imagining a worse way to spend one of the last days of summer vacation. Water damage can lead to expensive and extensive repairs. In fact, even an average household leak like that caused from a leaky toilet can cause a great deal of water loss, in addition to the unseen damage that may be occurring. For instance, the combined leaks in an average household can account for more than 10,000 gallons of wasted water wasted every year. This is equivalent to the amount of water needed to wash 270 loads of laundry. Now imagine that leaking water is making its way into hidden location and causing mold and mildew and you begin to realize the value of having problems fixed as soon as they occur. The benefits of hiring a plumber rather than trying to fix problems yourself are substantial. A plumber, for instance, has experience that lets him or her know where to look for additional concerns for even the most common plumbing problems. If your air conditioner is leaking, for example, a plumber knows how to follow all of the pipes to make sure that no unseen damage is being done. 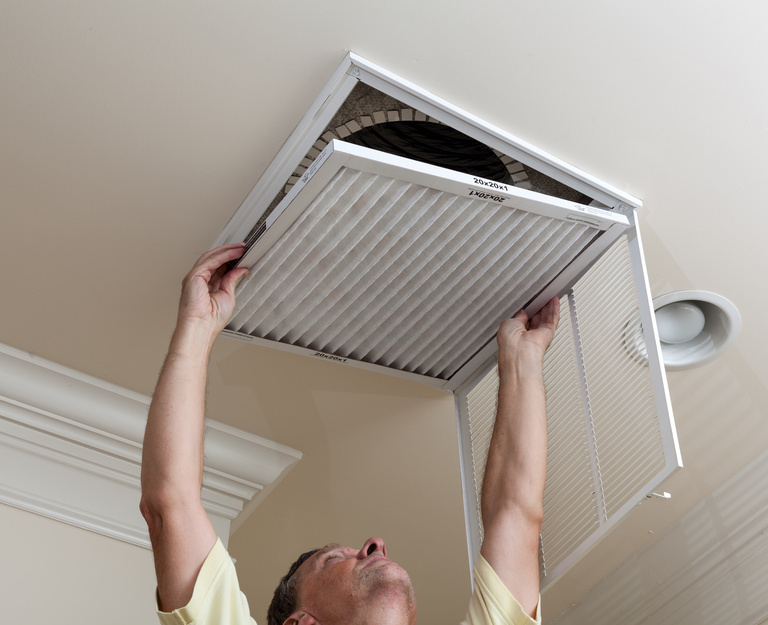 Common air conditioner performance issues, for instance, may not just be a matter of changing a filter or unclogging one part of a pipe. They may also require further exploration to make sure that the leak is not actually coming from somewhere further in the AC unit. Fortunately, there can be an upside to some plumbing issues and their repairs. In the case of an air conditioning unit, for instance, even the worst news that an entire AC system has to be replaced, the owner will likely benefit from the increased savings from the change. Aging and improperly installed equipment can decrease your home?s heating and cooling efficiency by 30%. These inefficiencies lead to major energy costs. Fixing them, therefore, can lead to substantial savings. In fact, the newest heating and cooling systems are far more energy efficient while at the same time doing a better job of temperature control. The best defense for combatting common plumbing problems is to schedule regular maintenance visits. Making small repairs before they become big problems may even get you to the Labor Day lake party on time.